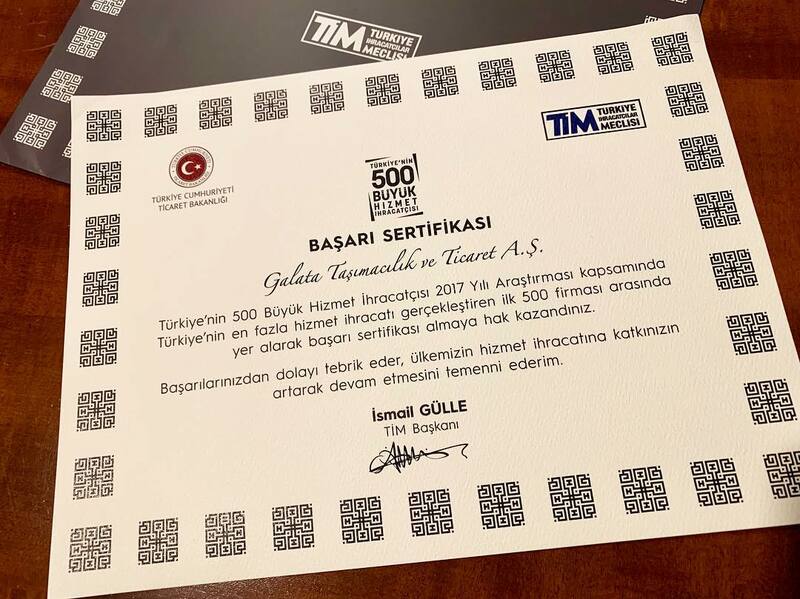 Our sister company in Turkey “Galata Tasimacilik & Ticaret A.S.” has been awarded the “Certificate of Success” from Turkish Exporters Association-TIM and Turkish Ministry of Commerce as resulted in the TOP 500 Turkey’s Biggest Service Exporters research. Galata is ranked within the TOP 100 companies of this list independently from any industry and in TOP 50 as of international freight forwarding and transport industry. 2017 has also been the 20th anniversary of Galata, a great year rich of success for our Turkish partner.